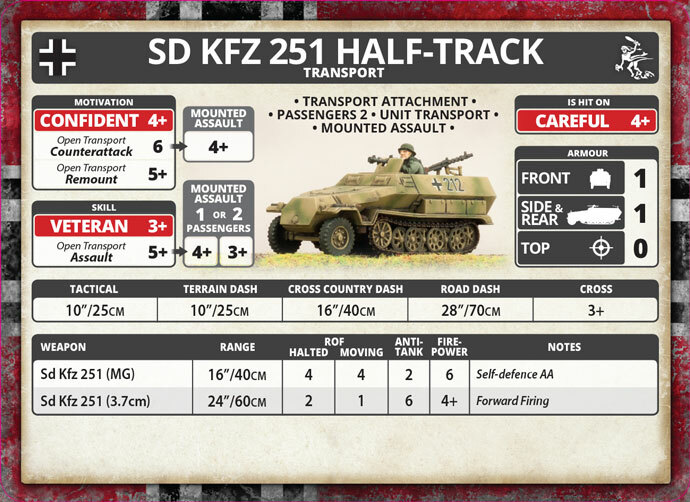 The Sd Kfz 251 half-track was designed to transport infantry and guns into battle. The passengers were protected by bulletproof armour, helping then close in for assaults. Each transport had a pair of machine-guns, one firing forward with a protective gun shield, and the second on a swivel mount in the rear for shooting at aircraft or other targets. Over 15,000 of these half-tracks were made during the war, with over 20 variants. A handful of the ‘Hanomag’ (named for the factory that built it) half-tracks were ready to equip a small number of motorised platoons in the 1st Panzer Division during the invasion of France in 1940. Soon thereafter, production caught up to supply enough half-tacks to equip at least one company, and later a battalion, of infantry in each panzer division. The half-track played an important role in the blitzkrieg campaigns from the Russia Steppe to the wadis of Tunisia. German armoured half-track tactics called for bold assaults using their vehicles to push aside the enemy where possible. This Team has Assault 4+ and Counterattack 4+ with one Passenger and Assault 3+ and Counterattack 4+ with two Passengers. 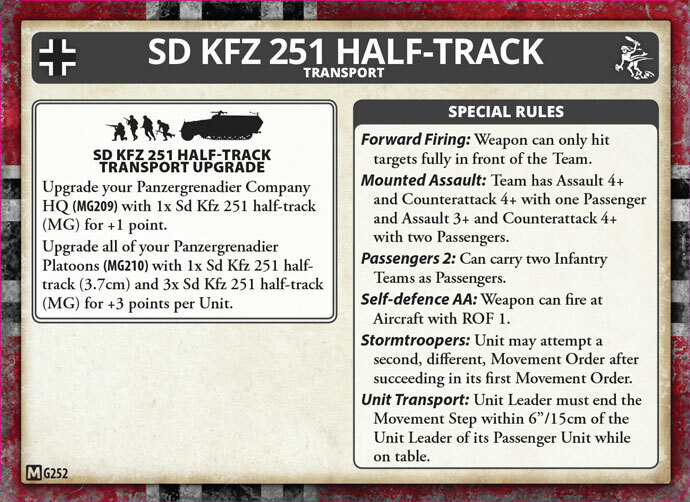 This is shown on the Sd Kfz 251 Transport unit card as an additional motivation and skill column. 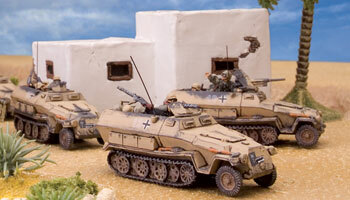 German half-tracks were a part of the platoon in every way. The troops lived out of the back of their transports and guarded them against enemy attack. The Unit Leader must end the Movement Step within 6”/15cm of the Unit Leader of its Passenger Unit while on the table. 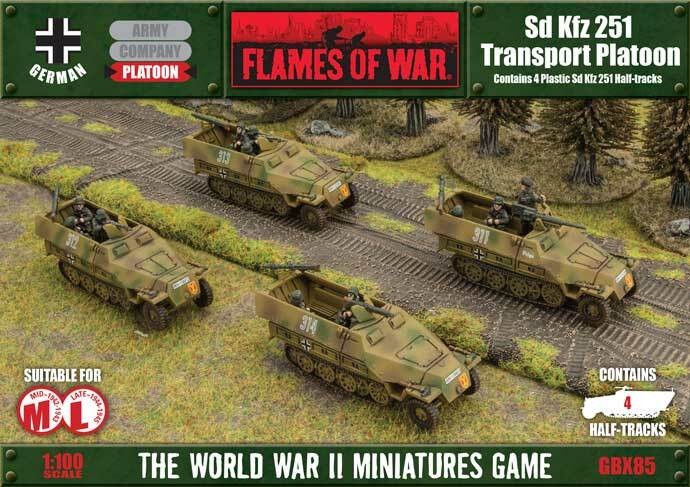 If you don't have any halftracks and cannot wait for us to release the new plastic kit, you can always get the Late War version of the Sd Kfz 251. This way you can already have your first Late War models painted and ready for battle.